Super Bowl 50 with the matchup between the Denver Broncos and the Carolina Panthers is just around the corner, so what better time than now to take a look at our top performing NFL handicappers over the last 30 days. INSIDE IS YOUR VALUE ADDED SUPER BOWL SIDE SELECTION FOR NEXT SUNDAY. WE ARE ON A MONSTER NFL RUN THE LAST MONTH…A PERFECT 5-0 WITH OUR TOP PLAYS. DID YOU ENJOY OUR “CAROLINA OVER” MOVE LAST TIME? IF SO, BUY THIS NOW AND SECURE ALL THE VALUE YOU WILL NEED TO CASH A MAJOR TICKET. GOOD LUCK AND THANK YOU. Famous for his Super Bowl success, highlighted by a PERFECT 10-0 STREAK, Ben Burns is 4-1/80% w/ his plays in Manning’s previous Super Bowls. Ben nailed BOTH the side AND the total in the NCAA Championship game, closing the season on a 13-7 run. Now a WHITE HOT 37-18 his L55 NFL, BANK on MORE OF THE SAME from Burns in this year’s final NFL game! 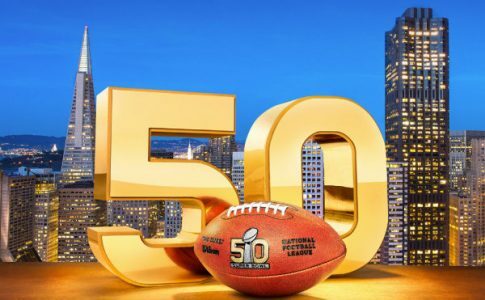 Super Bowl 50 is finally here and Don Anthony has his BIGGEST & STRONGEST total of the NFL Post-season going on Sunday! Don just recently hit his 50* NFL PLAYOFFS GAME OF THE YEAR and has cashed on FOUR STRAIGHT GOYS in the NFL, which includes going 9-2 with GAMES OF THE YEAR in All Sports! As an added BONUS, Don Anthony will be releasing his favorite props for the Super Bowl in this package as well. Will the game be going OVER or UNDER? Find out the GUARANTEED ANSWER for just $50! This package is a MUST for all the PROP lovers out there! Peyton Manning for Super Bowl 50 MVP. This prop is basically a small bet on the Denver Broncos. Denver to win outright is currently +200. Taking Manning to win MVP is +400. We’re basically getting double the payout and if Denver wins the Super Bowl, I believe the NFL will do whatever it can to give Manning the MVP trophy for his last rodeo because it seems almost certain he will retire, especially after his post-game talk with Bill Belichick, after the AFC Championship victory. Want even MORE props? Don Anthony has his 50* NFL PLAYOFFS TOTAL OF THE YEAR going on Super Bowl Sunday! This package comes with many props that includes his FAVORITE 40* prop that he plays EVERY year! Don has CASHED 4 STRAIGHT NFL GOYS and 10 of this last 12 TOP PLAYS in the NFL! There are a number of reasons why this will be a low scoring game. First of all Carolina is overrated. Yes they’re 15-1 in the regular season. Let’s take a look at who they actually beat to get that “15-1 record”. Nine of those wins came against seven teams that had losing records; Tennessee (3-10) once, Dallas (4-12) once, Jacksonville (5-11) once, Tampa Bay (6-10) twice, NY Giants (6-10) once, New Orleans (7-9) twice, and Philadelphia (7-9) once. Two of those wins came vs two teams that were at .500 for the season; Atlanta (8-8), and Indianapolis (8-8). Only four of those wins were against teams with a winning record; Houston (9-7) who was slightly better than MEDIOCRE, Washington (9-7) who was less than MEDIOCRE most of the year, Green Bay (10-6) who definitely was just not as good this year, and Seattle (10-6) the only “GOOD” team that Carolina beat in the regular season. Their only loss came against the MEDIOCRE Falcons. Arizona is the best team the Panthers have faced this year. And even though Carolina scored often vs the Cardinals, they were aided by Arizona’s SEVEN turnovers. Denver’s defense will not allow the Panthers to score often. The Broncos are ranked 4th in the NFL in points allowed with 18.5 per game. And Peyton Manning definitely will not be careless with the football. Carolina’s defense also will not allow the Broncos to score often in this game. The Panthers defense is ranked 6th in the NFL in points allowed at 19.3 per game. Plus, Denver’s offense has struggled to put up points, averaging just over 20 points in their last three games. Not to mention that Peyton Manning is known to choke in the postseason. TheBroncos receivers have also had trouble catching the ball this postseason. Both of these teams will be extremely focused, prepared and motivated defensively. No matter who wins this game, this total won’t go over 43 points.